Color is undeniably the most cost effective way to change the look and feeling of a space or home’s façade. With thousands of paint colors to choose from, selecting the perfect color scheme for your home can be a daunting task. The art of choosing the right paint color relies on instinct, emotional response, and principles of color theory. With thousands of colors available in fan decks and color kiosks, many times the right color may need to be customized to make your space exactly what you are looking for. Hiring a professional can save you time, money and hours of agonizing over such a seemingly simple decision. We can enhance curb appeal, whether you are planning to stay in your home or make it more appealing to prospective buyers adding real estate value and a beautiful personalized exterior and interior. No matter what your personal style is, we can achieve the desired look and vibe of a space through a unique color palette designed around you. A color consultation can make your life easier, decreasing fear and indecision. It can prevent costly mistakes and give you peace of mind. Each situation is unique and gets personalized attention. A certain paint color may look good in a magazine or a friend’s house, but may not be appropriate for your home. Columbia Paint chooses colors that fit your space. We take into consideration many elements when selecting colors in your surroundings including furniture, flooring and lighting as well as your own personality and tastes. Color is the first thing people notice, and it reflects your style and personality. New paint colors can change the look and feel of your home. Color is the foundation of good design, so getting the right color from the start is important. 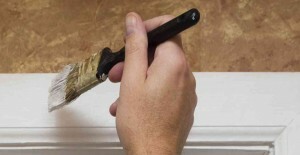 Painting is the most cost effective home improvement, even on a tight budget. We have many price points and can accommodate your budget needs. Times have changed, and if you are not able to redecorate as often as you would like, or sell your property, you can still make a big difference by changing the background colors. This can refresh and update your home and make it seem new again. Today, there are thousands of paint colors to choose from. Columbia Paint will sort out your options and make the best selections. The focus is on finding the colors that will make you feel happy and comfortable. The color selection process balances your personal preferences with what is appropriate for the style of your property. What Happens During A Color Consultation? We specialize in balancing the many factors involved in choosing colors in your personal preferences. If you are remodeling we can coordinate samples of your new materials with paint colors. This ensures it all works together from the start and saves you time, money and energy. Your home should be your sanctuary, a retreat from the outside world. Are you getting ready to start painting your home or staining your deck but don’t know where to begin? Learn about interior/exterior painting techniques, painting outdoor furniture, cabinetry painting, faux painting, paint colors that sell your home, ceiling paint ideas, matching colors for Cambria quartz countertops, Kohler plumbing fixtures and much more!